She took a year-worth of foundation courses after high school to prepare herself to gain admission to the university and fulfill her dreams. Getting married and starting a family was only a distant option. Many Qatari women in the generations before her would have never had the same aspirations, but mindsets are changing among young women in the Arab world. “Most Arab families want to have 2-3 children at most,” said Marcia Inhorn, the author of a 2018 study from Yale University that explained the unprecedented decline in fertility rates in the Arab world. Between 1975-1980, women in all Arab countries had a total fertility rate of 7.0 children per woman, which was far exceeding the world average of 3.85. Today, only three Arab countries, Egypt, Jordan, and Yemen, have a total fertility rate above 3.0. “We labeled this decline as a quiet revolution because no one is talking about this change and it is not being recognised,” said Inhorn. The study shows that the attitudinal changes in the Arab world have had a greater impact on fertility decline than the prevalence of contraceptives among Arab families. “[Children’s] expenses are so high, that you need to invest a lot of money in one child, let alone having four or five children,” added Al-Badr. She believes this is why fertility rates have dropped and more women are turning to contraception as they are aware of the economic repercussions. It is also the reason why she wants to wait a while after graduation until getting married and being able to afford a family. According to Spyridon Chouliaras, attending physician- reproductive medicine at Sidra Medical and Research centre in Doha, the trend of having smaller families is evident, but there is still a strong intent among Arab families to have multiple children. For instance, the threat of a possible “youth bulge” is quite imminent. This is when the percentage of young people – between 15-30 years old – temporarily increases in the overall population. Inhorn refers to the impact of this being called “waithood”, where young people wait longer to get married and form families, leading to a large “stuck youth” population. According to Inhorn, youth bulges will eventually lead to “elderquakes,” or very rapidly aging populations. Statistics released by the United Nations on current and future life expectancy in the Arab world showed, with the exception of Sudan and Yemen, all Arab countries have exceeded the world’s current average life expectancy of 71.9 years. The life expectancy in most Arab states, except Yemen, is now close to 80. However, Inhorn says there is no social safety net for these aging populations as Arab states are not equipped to handle them. These elderquakes will not happen for some time, but they could prompt potential crises in caretaking. Finally, many Arab countries have even dipped below replacement fertility rate, that is the fertility rate required for a population to maintain itself, usually 2.1 children per woman. These Arab countries may as well become barren states, with a growing aging population, a shortage of labour, and plummeting national populations. The threat of depopulation is real. However, Inhorn acknowledges that Arab Gulf states are different from other Arab nations. The population demographics are distinctive, with a large expatriate workforce. 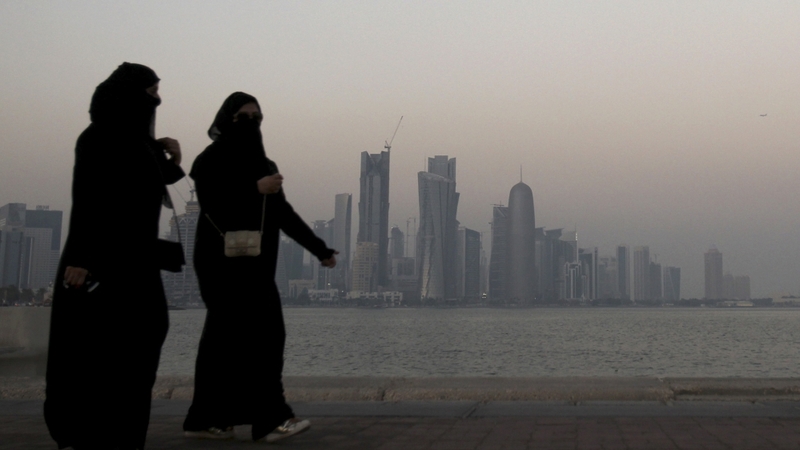 The author notes that the fertility rate of Qatari women is slightly higher, at around 3.0 children, compared to 1.75 per woman for the entire population.